PHOTO: Dr Philip Nitschke tests imported nembutal for quality assurance. A lethal drug promoted by euthanasia campaigners as a peaceful way to die is easily being illegally imported into Australia. The drug kills within an hour of being consumed. “There are very few lethal drugs and the best lethal drug is Nembutal,” euthanasia advocate Dr Philip Nitschke told a recent workshop. “I’ve been with a lot of people who have died using this drug, it just seemed to get into to a deeper and deeper sleep and then finally stop breathing. “And for those watching they see this as the most peaceful of deaths, it certainly looks to be. The penalty for importing or possessing Nembutal is a prison sentence or a fine of up to $825,000. Dr Nitschke says hundreds of Australians have illegally brought the drug into the country over the past couple of years. I sent an email requesting a sample, I received a reply asking me to forward $US360 and I duly arranged that, and two weeks later, my package arrived through the mail. The Australian Federal Police have told the ABC’s Lateline program that they have seized almost 15 kilograms of the drug since 2007. But so far, no one has been convicted. Mexico used to dominate the market but now most Nembutal is bought over the internet from China. Increasingly, there are reports of internet scams and Lateline has spoken to several people who have lost hundreds of dollars trying to buy Nembutal online. Arriving in flat packed envelopes, Chinese Nembutal comes in the form of a white powder, and Dr Nitschke says people are worried about its quality. “People obtain this white powder in envelopes from China and they’re concerned in a way that I never saw, the same concern with the South American product,” he said. To combat concerns, Dr Nitschke has set up a mobile testing laboratory, and he says there is a long queue of people across Australia waiting to use it. “I think we can say the vast majority, all except one, have shown to be exactly what they’ve purported to be, so in other words high quality Nembutal,” he said. Dr Nitschke has tested the Nembutal which terminal cancer patient David illegally imported earlier this year. David says the drug was easy to obtain online and he was not fearful of any legal consequences. David bought his Nembutal from a supplier listed in Dr Nitschke’s book The Peaceful Pill Handbook. The book is also banned in Australia, but for $80 you can buy online access to the publication. Dr Nitchske’s group also produces instructional videos for those considering euthanasia. In one tragic case, a young Sydney woman who was not terminally ill but suffering from depression accessed this information. She also attempted to buy Nembutal online, but lost her money. In May, the 30-year-old committed suicide. 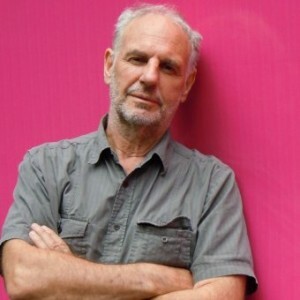 However, Dr Nitschke defended this advocacy, saying the dissemination of euthanasia material information should not be banned simply because it is used for purposes other than those he intended. “It’s an age-old question about censorship,” he said. But the chairman of the Federal Government’s advisory council on suicide prevention, Professor Ian Webster, disagrees. “I don’t think that’s an acceptable risk,” he said. There’s a very fundamental principle in medicine, primum non serum, a Latin statement for ‘above all do no harm’, so no action that a physician or a surgeon or a doctor should take, should increase the likelihood of harm. “There’s a very fundamental principle in medicine, primum non serum, a Latin statement for ‘above all do no harm’, so no action that a physician or a surgeon or a doctor should take, should increase the likelihood of harm. “It’s a very difficult balance to strike. Dr Nitschke is currently facing two investigations by the Australian Health Practitioner Regulation Agency over claims he is not a fit and proper person to hold medical registration, but he says losing his licence will not stop his work. “In a practical sense it would make very little difference, because of the growing demand if you like, of a growing or increasing number of elderly people who are demanding control over the end of their own life,” he said. If you or someone you know requires help you can contact Lifeline on 13 11 14, visit Beyond Blue or young people can visit Headspace.